Common at low to moderate elevations throughout, but range also extends to higher montane sites with suitable structures for nesting such as ski lodges. Almost always uses man-made structures for nesting. 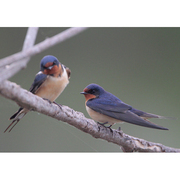 Most common in agricultural or residential areas and requires open habitat for foraging. 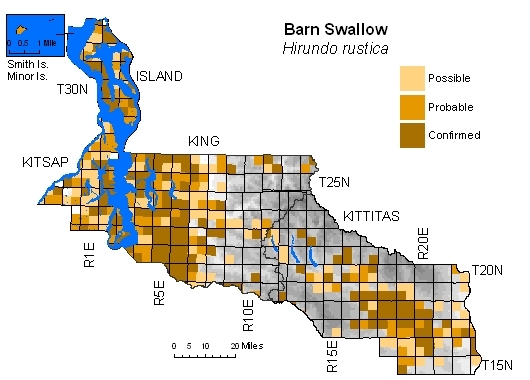 Absent from large expanse of forest zones in Kittitas County where predicted to occur by Washington Gap report (Smith et al. 1997).